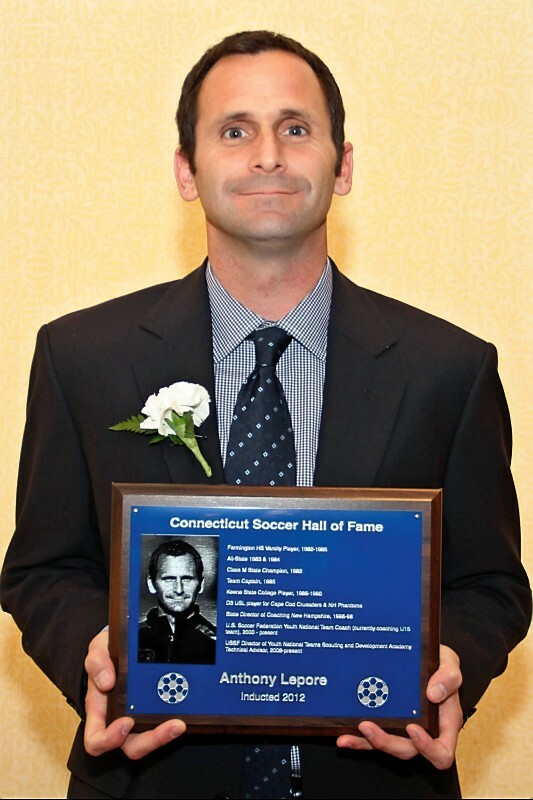 All-New England striker at Central CT State University, 1988-1989; 1989 New England College ‘All Star Bowl’ Selection; Professional player for CT Wolves of USISL, 1993-99; Assistant coach at University of New Haven, 1997-1999; Coached Farmington H.S. 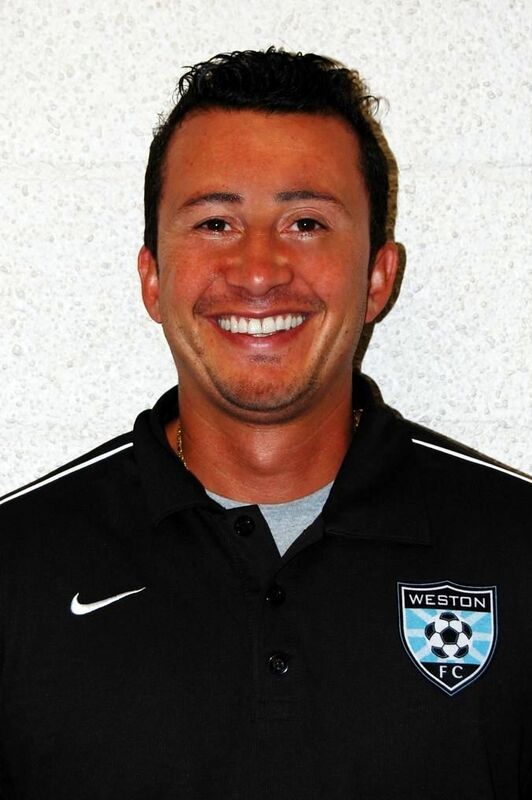 girls to 108-9-8 record and 2 state championships (2003 & 2005), 2000-2006; Girls High School Coach of the Year, 2004; CJSA Coach of the Year, 2003; Co-founder of Connecticut Football Club ‘CFC’ – one of the largest youth organizations in the state; Co-owner CFC Arena; Founder of youth soccer information and recruiting service website, Soccerhead.com; President of new Professional Developmental League team CFC Azul, 2011. 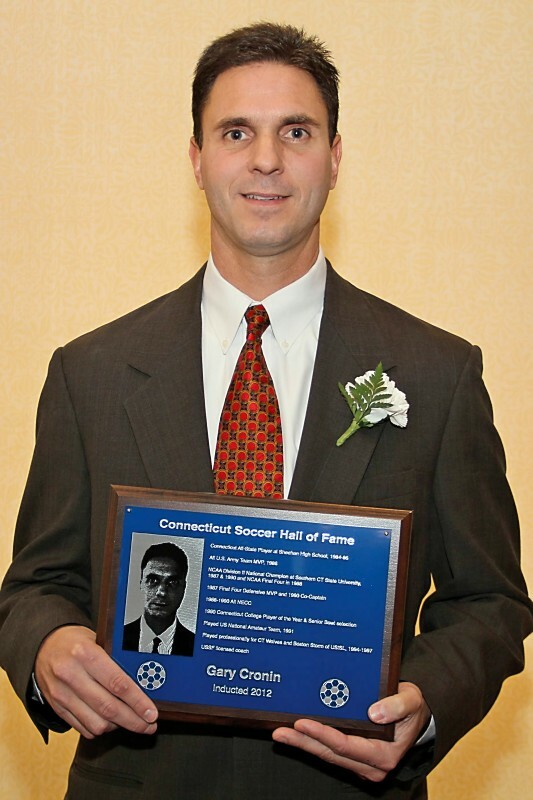 Connecticut All-State Player at Sheehan High School, 1984-86; All U. S. Army Team MVP, 1986; NCAA Division II National Champion at Southern CT State University, 1987 & 1990 and NCAA Final Four in 1988; 1987 Final Four Defensive MVP and 1990 Co-Captain; 1988-1990 All NECC; 1990 Connecticut College Player of the Year & Senior Bowl selection; Played for US National Amateur Team, 1991; Played professionally for CT Wolves and Boston Storm of USISL, 1994-1997; USSF licensed coach. Farmington HS Varsity Player, 1982-1985; All-State 1983 & 1984, Class M State Champion, 1982; Team Captain, 1985; Keene State College Player, 1986-1990; D3 USL player for Cape Cod Crusaders & NH Phantoms; State Director of Coaching New Hampshire, 1996-98; U.S. Soccer Federation Youth National Team Coach (currently coaching U15 team), 2000 – present; USSF Director of Youth National Teams Scouting and Development Academy Technical Advisor, 2008 – present. 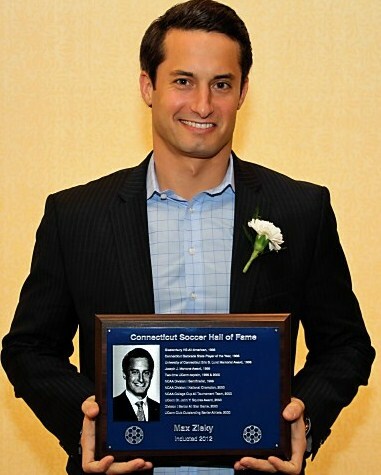 Two-time Parade All-American at Hamden Hall Country Day School, 1994 & 95; NSCAA All American, 1995; Led team to four New England Prep School Championships, 1992-1995; U.S. U18, U20 and U23 National Team member, 1995-2000; Competed in 1997 World Youth Championship in Malaysia as member of US U20 team; Major League Soccer Professional, 1997-2000; New England Revolution (1997), NY Metrostars/Miami Fusion, 1998, Miami Fusion/NE Revolution (1999), NE Revolution (2000); First player to sign Project-40 contract with US Soccer, 1998; Captain of Pro-40 Select team in A-League, 1998. 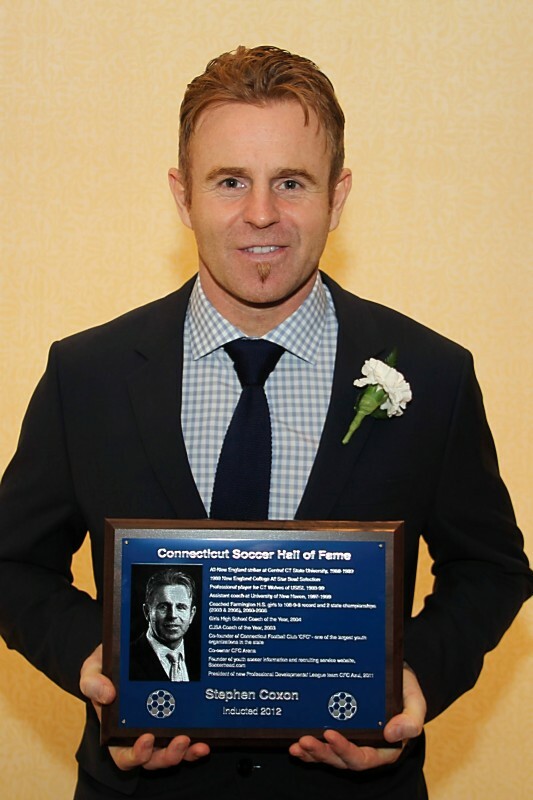 3-Time state champion at Trumbull High School with 65-8-3 record, 1996-98; scored 79 goals and 59 assists at Trumbull HS; NSCAA Youth All-American, 1997 & 1998; NSCAA National HS Player of the Year, 1998; NCAA Div I finalist (1999) and semifinalist (2000); Big East Rookie of the Year at Notre Dame, 1999; 1st Team All Big East, 2001; University of Notre Dame captain, 2002 & 2003; 1st team Academic All American, 2002, 2001 & 2003; Women’s Soccer Academic All-American of the Year, 2003; Overall record at ND of 82-12-4. 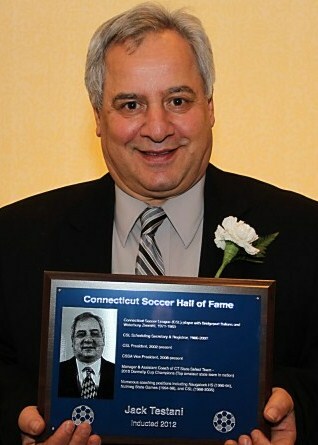 Connecticut Soccer League (CSL) player with Bridgeport Italians and Waterbury Zimmitti, 1971-1983; CSL Scheduling Secretary & Registrar, 1986-2001; CSL President, 2002-present; Connecticut State Soccer Association Vice President, 2008-present; Manager & Assistant Coach of CT State Select Team – 2010 Donnelly Cup Champions (Top amateur state team in nation); numerous coaching positions including Naugatuck HS (1990-94), Nutmeg State Games (1994-98), and CSL (1998-2005). 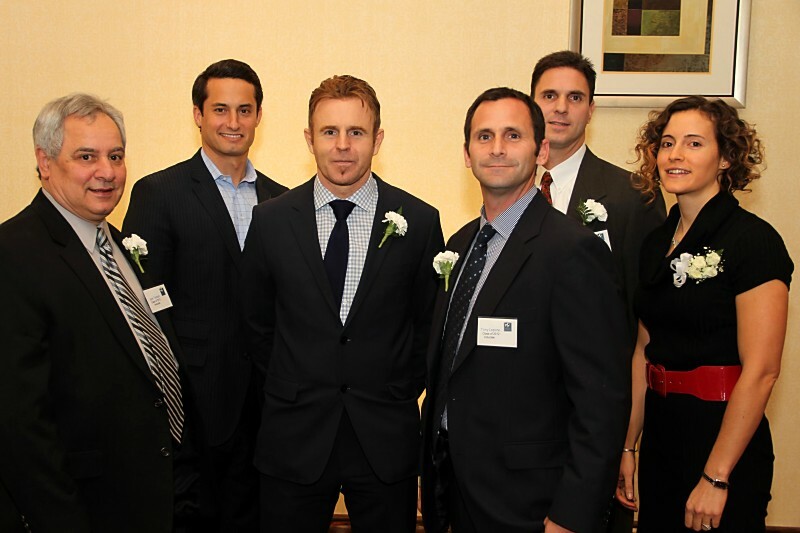 Glastonbury HS All-American, 1996; Connecticut Gatorade State Player of the Year, 1996; University of Connecticut Eric S. Lund Memorial Award, 1998; Joseph J. Morrone Award, 1999; Two-time UConn captain, 1999 & 2000; NCAA Division I Semifinalist, 1999; NCAA Division I National Champion, 2000; NCAA College Cup All Tournament Team, 2000; UConn Dr. John Y. Squires Award, 2000; Division I Senior All Star Game, 2000; UConn Club Outstanding Senior Athlete, 2000.